Papa Don’s Pizza is celebrating their seventh anniversary in downtown Fort Scott. On Wednesday, May 2, they will be offering medium single topping pizzas for only $7. TOPEKA – Kansas Department for Children and Family (DCF) Secretary Gina Meier-Hummel is now in the process of reviewing 393 suggestions and comments made during a week-long Request for Information (RFI). On Friday, April 20, the agency announced that it would gather public input on existing foster care contracts, as it prepares to release the bid for new foster care grants (grants will replace contracts, going forward). During the RFI, which included a public meeting and online submission, Secretary Hummel received a wide range of opinions from interested parties, such as stakeholders, community and contracted partners, families, foster parents, staff and the general public. Some of the most common concerns addressed in the feedback have been the high turnover rate of caseworkers, lack of proper oversight of contractors, lack of proper funding for staff, high caseloads, need for more quality training and a lack of collaboration between agencies and organizations. In an ongoing effort to promote transparency and accountability, the Secretary and her staff are responding to each comment made. The comments and responses will be available at a later date on the DCF website. 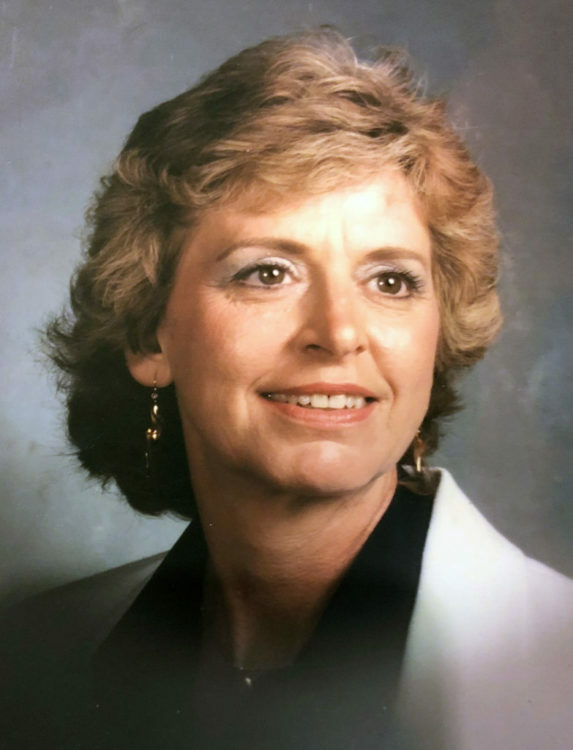 Carol Louise (Meme) Welch, age 77, a former resident of Fort Scott, and more recently of Overland Park, Kansas, died Sunday, April 29, 2018 at St. Luke’s South Hospital. She was born December 14, 1940, in Fort Scott, Kansas the daughter of Victor Carpenter and Lucille Willey Carpenter. 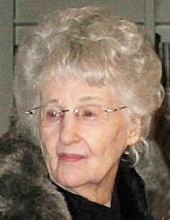 Carol was a 1958 graduate of Fort Scott High School. She attended Pittsburg State College. She was previously employed by American States Insurance in Overland Park. She married Denny O. D. Welch Jr. on August 29, 1987, in Overland Park. Her joy was spending time with grandchildren. Survivors include her husband, Denny O.D. (Papa) Welch; five sons, O. D. Welch III and wife Melody, Chet Shellenberger, Stephen Shellenberger and wife Chris, Chuck Welch and wife Elizabeth, and Daniel Shellenberger; one daughter, Karin Shellenberger. 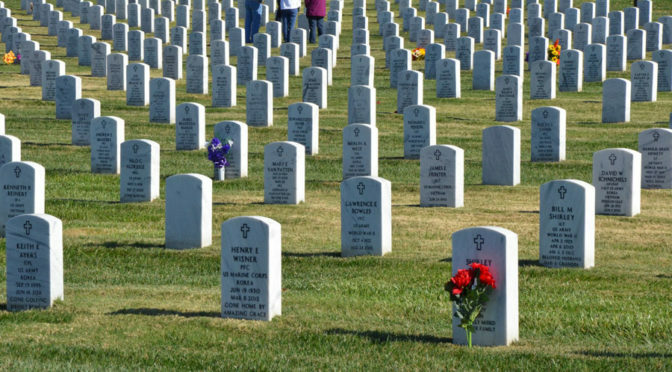 Also surviving are fourteen grandchildren; Lacey, Joseph, Lauren, Taylor, Kelsea, Phillip, Emma, Ashlyn, Victoria, Peyton, Charles, Meghan, Gabriel, and Oliver. She was preceded in death by her parents and a grandson, CPL Nicholas Gomez. Following cremation, memorial services will be held at 11:00 A.M. Saturday, May 5th, in the Cheney Witt Chapel. Throughout the day on Monday, May 7, The Lowell Milken Center for Unsung Heroes will be presenting the story of Mother Mary Bickerdyke along with the Tiffiny Durham from the Fort Scott National Historic Site. The presentations are at 8:00 a.m., 9:30 a.m., and 1:00 p.m in the Lowell Milken Center at Wall and Main street in downtown Fort Scott. Visitors can stop by anytime that day and learn more about the Unsung Hero and Civil War nurse Mother Mary Bickerdyke. Fort Scott Community College Student Success Center staff and the Eastern Adult Education Consortium hosts the GED/ABE graduation ceremony at Ellis Fine Arts on Wednesday, May 16 at 6 pm. Refreshments will be served immediately following the ceremony. For more information, contact Aubrey Duft at aubreyd@fortscott.edu or 620.223.2700. The sheriff’s office can be reached at 620-220-1440. Pauline Stoughton Beeler, age 95, a resident of Ft. Scott, KS, died Sunday, April 29, 2018, at the Mercy Hospital Emergency Room. She was born August 4, 1922, in Mapleton, KS, the daughter of Frederick and Mary Faulhaber Stoughton. She attended Mapleton grade school, Blue Mound High, and Ft. Scott Junior College. Pauline worked in both the offices of Key Overall factory and Kansas Utilities. She married Dale Warren in November 1942, one year after they met. From 1943 through 1947 they lived in Manhattan, KS, and their first two children, Gary and Pat were born. 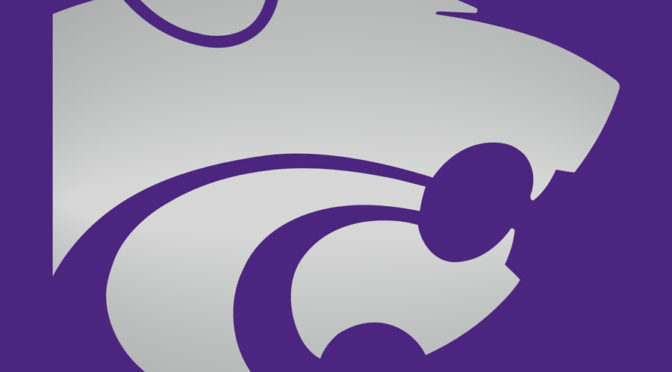 Dale graduated from Kansas State University College of Veterinary Medicine. Dale’s father was a veterinarian and his son Stephen also received his veterinary degree from KSU 25 years later. Dale died in 1952 in a small airplane accident near Fulton, KS. Pauline remarried Norbert Beeler (Bud) in 1953. Pauline’s fourth child, Rebecca, was born in 1954 on her mother’s birthday in Tacoma, WA, where Bud was stationed in the Army. The family moved to Prairie Village, KS, where they lived 20 years. Bud spent that time employed by Stine & McClure funeral home. In 1973, they moved back to Fort Scott, owning and managing Cheney’s Chapel funeral home (now Cheney Witt Chapel). Bud retired in 1989 and died as a result of Parkinson’s disease in 2004. Pauline is survived by her four children, Gary Michael Warren and wife Charlene, Patricia Pauline Morris and husband Jim, Stephen Dale Warren and wife Patti, and Rebecca Ann Beatson and husband Jim; nine grandchildren; and eight great-grandchildren. She is preceded in death by her parents, and five siblings; Bernice Lawrence, and Raymond, Milton, Sheldon, and Ellis Stoughton; two husbands, Dale Martin Warren and Norbert Joseph Beeler; and her granddaughter Frances Elizabeth Warren (1985). A memorial service will be held at 10:00 AM Friday, May 25, at the Cheney Witt Chapel. Burial will follow in the Evergreen Cemetery. Memorials are suggested to the Alzheimer’s Association and may be left in the care of the Cheney Witt Chapel, 201 S. Main, PO Box 347, Ft. Scott, KS 66701. Words of remembrance may be submitted to the online guestbook at cheneywitt.com. 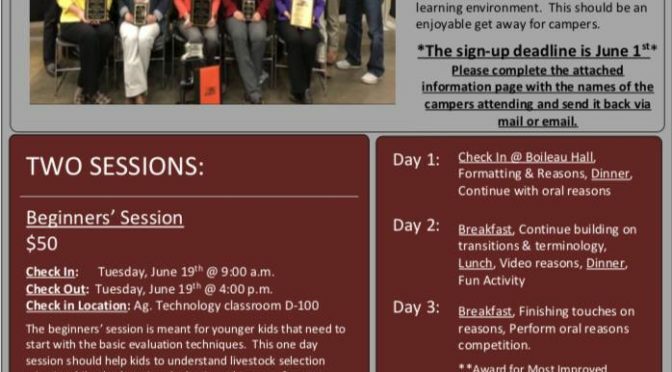 Students who would like to sharpen livestock evaluation and oral reasoning skills can take a summer camp starting June 19 at Fort Scott Community College. The sessions are divided into beginner and complete sessions. Facilitated meetings can identify strengths, barriers, and opportunities. Kansas farm and ranch families continuously look at best options for feasibility and profitability– they attend educational meetings, try out new practices, assess any risks involved and talk with their neighbor or consultant. They make numerous decisions from day to day that will affect the operation both now and in the future. The future sustainability of the farm or ranch also depends on whether the family has planned for succession. The average age of U.S. producers continues to rise and families will need to explore options for the transitional feasibility of current and future operators. Succession planning is a step-by-step process where families work together to develop a plan to incorporate the next owner and pass on knowledge and resources that will sustain the operation. Farm and ranch families may be uncertain of how to begin developing a succession plan and need guidance moving forward. This is where a succession planning facilitator plays a key role. The facilitator can help the family identify strengths, barriers, and opportunities as they pass the farm business on to the next generation. They guide family members to resources and individuals who can help them find the information they need to develop an effective succession plan with help from facilitators and mediators from Kansas Agricultural Mediation Services, a program administered by K-State Research and Extension. A facilitated meeting is described as guiding participants through shared discussions about important issues. Facilitators help families set an agenda and guide the process of planning their succession. The facilitator works to enable all voices to be heard within a respectful environment. While the facilitator remains neutral with the content of the discussion, they help everyone keep track of the substantive issues and options raised by the family as they chart their path forward. 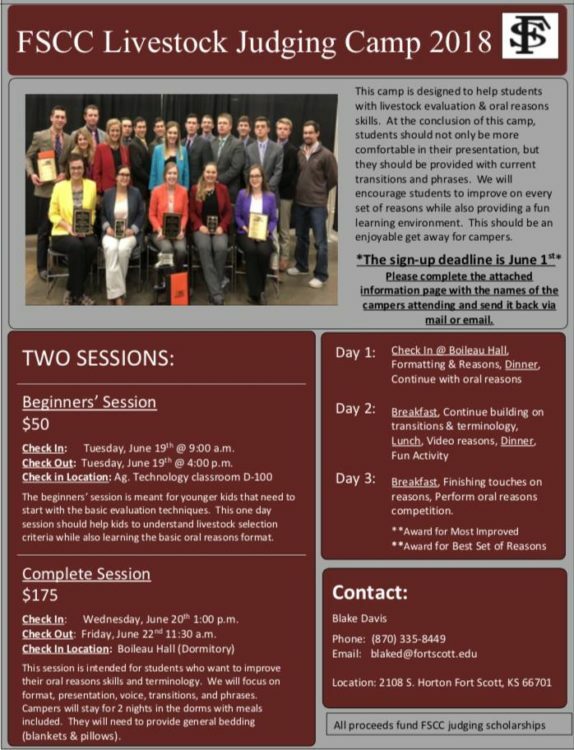 Trained facilitators have experience working with Kansas farm and ranch families. They offer guidance and support as families cultivate options for creating a succession plan. Facilitation services can be requested by calling Kansas Agricultural Mediation Services at 800-321-3276. Families may also visit the succession planning website and navigate through a variety of resources, such as “Transition Planning: 12 Steps to Keep the Family Farming” and more topic-focused areas such as estate planning or “FamilyTALK.” The website is available at Kansas Agricultural Mediation Services. Kansas Agricultural Mediation Services is administered by K-State Research and Extension. The program supports Kansas producers in resolving a variety of agricultural-related concerns and maintains confidentiality during the process. Information and guidance on any ag-related issue will be provided at no cost through our toll-free hotline, 1-800-321-3276 or visit their website at Kansas Agricultural Mediation Services. The department is located at 1604 S. Main and can be reached at 620-223-1700. Click below to view the agenda packet, which includes all financials and documents, 151 pages in all, for the Commission meeting tomorrow, May 1 at 6 p.m. at City Hall, 123 S. Main. The regular meeting of the Fort Scott City Commission was held April 17th, 2018 at 6:00 p.m. in the City Commission Room, 123 S. Main, Fort Scott, Kansas. Commissioners Adamson, Bartelsmeyer, Nichols, and Parker were present with Mayor Mitchell presiding. INVOCATION: Marcy Reynolds, Women’s Minister, Community Christian Church, said a prayer asking God for guidance for the city and all government and city officials. AUDIENCE IN ATTENDANCE: Rachel Pruitt, Bill Peterson, William Polk, Krista Banwart, Trent Banwart, Michael Mix, Patrick Flanagan, Frank Adamson, Paul Ballou, Deb Needleman, Janet Braun, Marcy Reynolds, Chad Brown, John Hill, Denton Wescoat, Allyson Turvey, Tiffany Durham, Tom Robertson, Shawn Pritchett, Kevin Davidson, Aaron Gibson, Hunter Adamson, Amy Heitman, Darrell Parker, Larry Gazaway, Travis Shelton, Rhonda Dunn, Clayton Miller, and Jason Silvers, representing the Fort Scott Tribune. Recognition of Hair Bow Center – Mayor Mitchell recognized the HairBow Center as they were named in the Inc. 5000 list of the fastest growing companies in the U.S. They began their business in 2008 and quickly expanded and built a 6,500 square foot facility in 2010. The City is proud of their many accomplishments. Recognition of Police Officer Kevin Davidson and Shawn Pritchett and Police Corporal Aaron Gibson – Travis Shelton, Chief of Police, recognized Corporal Aaron Gibson as he recently attended the Blue Courage training in Shawnee, Kansas and represented the Fort Scott Police Department very well. Chief Shelton recognized Police Officers Kevin Davidson and Shawn Pritchett for the excellent job they have done since starting to work for the Fort Scott Police Department. They have had many stops with narcotics cases. Approval of minutes of the regular meeting of April 3rd, 2018. Approval of Appropriation Ordinance 1213-A totaling $368,247.48. Bartelsmeyer moved to approve the Consent Agenda. Parker seconded. All voted aye. Pat Flanagan and Amy Heitman – Niece Products – Rachel Pruitt introduced Pat Flanagan and Amy Heitman of Niece Products of Fort Scott. Mr. Flanagan said that he loves Fort Scott. He said that he hired Amy Heitman at their location in Texas as a welder. He asked her to move to Fort Scott as he knew she had a lot to offer. He knew she could assist with a welding grant at Fort Scott Community College. She and her husband moved to Fort Scott in late December. Amy Heitman stated that she is trying to get more women and more young people interested in the welding program. She is working closely with Fort Scott Community College to further develop their program. She is excited to live in Fort Scott. Tiffany Durham – Fort Scott National Historic Site – Tiffany appeared before the Commission to inform them of a job opportunity with the Fort this summer. They are looking to hire four (4) high school students from June 18th through August 11th. They will work Tuesday through Saturday with 40 hours per week. They will hire two girls and two boys. The way the jobs are chosen after the applications are received will be on a lottery basis. She said to contact the Fort or go online to fill out an application. She also requested from the Commission that speed bumps be installed on Old Fort Boulevard. She said that there is a lot of traffic on that street and the vehicles are usually going at a high rate of speed. City Manager asked the Commission to consider this and it will be brought back before them at the first meeting in May for approval. He has visited with Chad Brown and he said that the speed bumps are not expensive in cost. Parker moved to open the Public Hearing at 6:20 p.m. Bartelsmeyer seconded. Motion carried. OPENED PUBLIC HEARING AT 6:20 P.M.
6:15 p.m. Resolution 21-2018 Directing the Repair or Removal of an Unsafe and Dangerous Structure and Accessory Structure located at 310 N. Cleveland – Rhonda Dunn, Codes Director, informed the Commission that this structure has had ongoing issues since 2009. There is someone still living in this house. The garage roof has holes in it. The house needs siding and painting and the back deck is unsafe. There are inoperable vehicles there as well as bags of cans and trash around the property. She recommended giving the property owner 30 days to either repair or remove the structure or go out for demolition. Bill Peterson said he was the property owner and he has been planning to work on it. He has been sick and his wife is not able to help. Rhonda said that they were put in contact with the Good Neighbor Action Team some time back. City Manager asked if they had considered housing through the Housing Authority. He and Rhonda will meet with the property owner and Patty Simpson to discuss housing. Bartelsmeyer moved to approve to give the property owner 30 days to either repair or remove this structure at 310 N. Cleveland. Parker seconded. All voted aye. APPROVED RESOLUTION NO. 21-2018 DIRECTING THE REPAIR OR REMOVAL OF AN UNSAFE AND DANGEROUS STRUCTURE AND ACCESSORY STRUCTURE LOCATED AT 310 N. CLEVELAND. STRUCTURE MUST BE BROUGHT UP TO 2012 INTERNATIONAL BUILDING CODE BY MAY 25TH, 2018 OR DEMOLITION PROCEEDINGS WILL BEGIN. Mitchell moved to close the Public Hearing at 6:26 p.m. Adamson seconded. All voted aye. CLOSED PUBLIC HEARING AT 6:26 P.M. Removal of media tower at Fisher Park – Dave Martin, City Manager, informed the Commission that the media tower is not used and is a visual concern to patrons. The Recreation Department will pay to move the electrical that is hooked up to the building and the City will remove the building. Tom Robertson, Buck Run Community Center Director, said that he met with the Recreation Department board and they are also in favor of the removal of this tower. The tower holds a lot of moisture and they are unable to store any items there. There are issues with spectators in the stands being able to see also. Adamson moved to approve to remove the media tower at Fisher Park. Nichols seconded. All voted aye. APPROVED TO REMOVE MEDIA TOWER FROM FISHER PARK. Consideration of Sanitary Sewer Collection System repairs utilizing the Joplin Tool Box contract – Michael Mix, Public Utilities Director, informed the Commission that he has created a spreadsheet that allows him to prioritize all the sewer lines that have issues. He asked the Commission to approve the 2018-2019 contract with the Joplin Tool Box to utilize them on repairs. He also asked the Commission to allow him to use his entire budget of $275,000 to make repairs to sewers that are in bad need of repair from his prioritized list. Mitchell moved to approve the contract with the Joplin Tool Box to utilize them on sewer repairs and to allow him to use his full budget of $275,000. Parker seconded. All voted aye. approveD the contract with the Joplin Tool Box FOR 2018-2019 to utilize them on sewer repairs and to allow him to use his full budget of $275,000. 2018 Asphalt Program – Chad Brown, Public Works Director, informed the Commission that he created a spreadsheet of some of the worst streets in town. This started with Wall Street which is heavily traveled. He received a quote from Killough Construction of Ottawa, Kansas to mill and overlay from Clark Street to Margrave Street in the amount of $49,188.80 and a quote from Vance Brothers of Kansas City, Missouri to apply the glass pave that will reduce rutting in the asphalt surface in the amount of $9,821.74. If these companies can complete this work, that will amount to $108,209.54. The next street that the City would repair is 3rd Street from Clark to Margrave. That is estimated to be around $89,950.00, which the City will do. There are some water issues on that street which will be completed first. If there are any remaining funds left, the other streets on the list will be worked on. He asked approval for the asphalt program for 2018. Parker moved to approve the 2018 Asphalt Program. Bartelsmeyer seconded. All voted aye. Chairs at Memorial Hall – Larry Gazaway, Convention & Visitor Bureau Director, informed the Commission that he is marketing Memorial Hall. In order to do this, the chairs really need to be replaced. The current chairs are heavy to move and it takes a lot of effort from City departments. He has found some white plastic chairs and showed a chair to the Commission. He will order clips so the chairs are clipped together and a rack to be easily stacked. He asked to order 300 chairs at an estimated cost of $9,900. He asked to be able to sell the old chairs that are currently there. Discussion was held if the new chairs could be loaned out to others. It was determined that this was not a good idea. Bartelsmeyer moved to approve the purchase of 300 chairs, sell the old chairs currently there, and not to allow the new chairs to be loaned out to anyone. Nichols seconded. APPROVED THE PURCHASE OF 300 CHAIRS, SELL THE OLD CHAIRS CURRENTLY AT MEMORIAL HALL, AND NOT TO ALLOW THE NEW CHAIRS TO BE LOANED OUT TO ANYONE. COST OF THE NEW CHAIRS IS ESTIMATED TO BE $9,900. Larry also informed the Commission that Adam and Jennifer LaRoche will be hosting eight (8) Combat Warrior Veterans for a turkey hunt. Three of the eight at the Airport. They will meet up and the Police and Fire Departments, and possibly the Sheriff Department, will have them escorted into town. He is asking people to line National Avenue with signs and flags to welcome these Veterans into our City at 1:30 p.m. that afternoon. Workforce Recruitment – Rachel Pruitt, Economic Development Director, informed the Commission that the City has worked with the Chamber to produce flyers promoting all the job openings in the City. There are over 100 open jobs. This has happened for the last two months and it seems like there are still around 100 jobs open. She and her assistant, Allyson Turvey, will be starting an online campaign through social media to promote jobs. A social strategy for facebook and linked in will be used. A Lunch and Learn luncheon session will be held for all Human Resource specialists on April 20th. Allyson has developed a welcome packet that will be distributed to the Human Resource Departments of major employers in Fort Scott along with local realtors. The packet will also be uploaded to the City’s website and facebook page. Rachel informed the Commission that the City has a new facebook page and urged them all to “like” the new page. 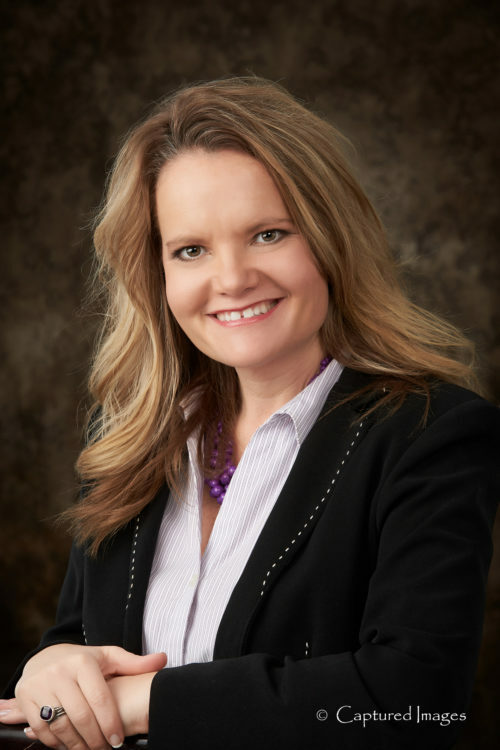 Director Updates: Rhonda Dunn – Rhonda shared with the Commission a demolition list update. She will have this spreadsheet for them at the second meeting of each month. She said that her department is focusing on grass and weeds. They have several ideas that her department is contemplating. They are having door hangers made that will hang on doors for houses needing attention and door hangers that are positive and thank the homeowner for the great way they keep their yards and houses looking. Adamson – Informed the public that this weekend is when the National Historic Site Reenactment will be held. Bartelsmeyer – Echoed Commissioner Parker’s comments. Nichols – Nothing to report. Parker – Thanked the whole team at the City and the way they try to save money and promote the City. Mitchell – Nothing to report. Meet and Greet – Memorial Hall – Approval of alcohol at event – City Manager said that the Bourbon County Action Team is having a Buy and Eat/Meet and Greet event at Memorial Hall on May 3rd, 2018 from 5:30 p.m. to 7:30 p.m. He asked the Commission to approve the use of alcohol for this event. Nichols moved to approve the use of alcohol for the event on May 3rd, 2018 at Memorial Hall. Adamson seconded. All voted aye. APPROVED THE USE OF ALCOHOL FOR THE BUY AND EAT/MEET AND GREET EVENT AT MEMORIAL HALL ON MAY 3RD, 2018 FROM 5:30 P.M. TO 7:30 P.M.
Home Show – City Manager thanked Tim and Deb McKenney and the radio station for the great job they do in hosting the Home Show. The City officials heard many positive comments in their booth this past weekend. Project List – City Manager informed the Commission that the Project List was emailed to them earlier this week. This list is to keep them up to date on projects in the City. There were 20 projects completed in the first quarter of 2018. There are 120 total projects. This list will be given out at the second meeting of each month. Parker moved to adjourn the meeting at 7:20 p.m. Bartelsmeyer seconded. All voted aye. ADJOURNED MEETING AT 7:20 P.M. The next regularly scheduled meeting is to be held on May 1st, 2018 at 6:00 p.m.